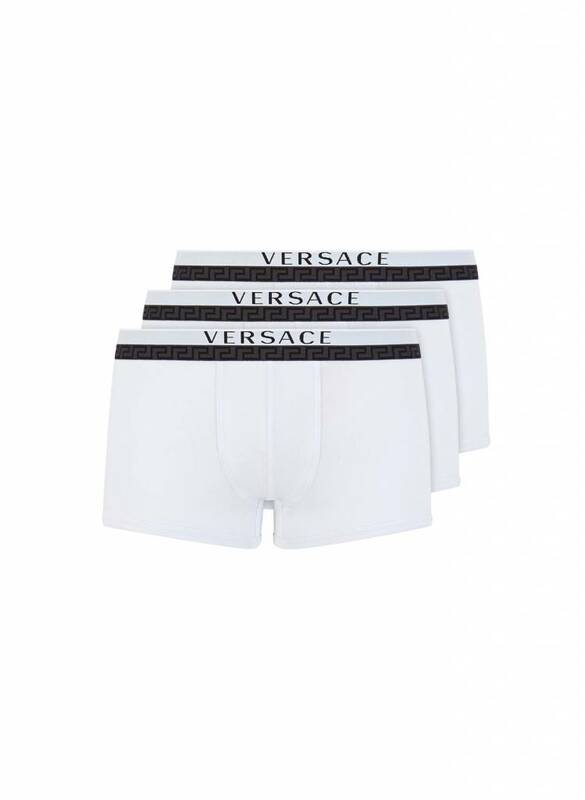 Versace Boxer White (Tri-pack) with iconic 'Versace' pattern on the waistband and 'Versace' spell out logo on the front. Gianna Versace Spa is on of the leading international design houses and a symbol of Italian luxury. Since 1997 Donatella Versace has been the Creative Director of Versace Spa. Versace is wel known for mixing classic design with todays contemporay fashion culture.